We all know it’s not nice to pull the legs off bugs. Luckily for entomology researcher Ignacio Escalante, he doesn’t have to. In the Elias Lab at UC Berkeley, he studies daddy longlegs, the harmless eight-legged critters you might have met in the shower. Daddy longlegs’ appendages don’t need to be pulled off because these arachnids, related to spiders, drop them deliberately. A gentle pinch is enough to trigger an internal system that discharges the leg. It’s a way to stay alive in the wild if something is trying to devour the bug’s limb. Whether it hurts is up for debate, but most scientists think not, given the automatic nature of the defense mechanism. The only blood lost comes from the detached leg. It’s called autotomy, the voluntary release of a body part. And it’s just one of the topics Escalante will be broaching in his presentation at East Bay Nerd Nite next month. Escalante’s research focuses on autonomy in daddy longlegs and how it affects their long term survival. But at Nerd Nite he’ll spend a good deal of time myth-busting on his favorite topic. Daddy longlegs, a.k.a harvestmen, have generated a lot of misinformation. For example, have you heard that daddy longlegs is the most venomous spider in the world, and that one bite could kill you, but its fangs are too small to penetrate human skin? Nothing in that statement is true. Daddy longlegs also lack venom and true fangs. But their front claws, called chelicerae, are big enough to bite humans, though they prefer to munch on fruit. 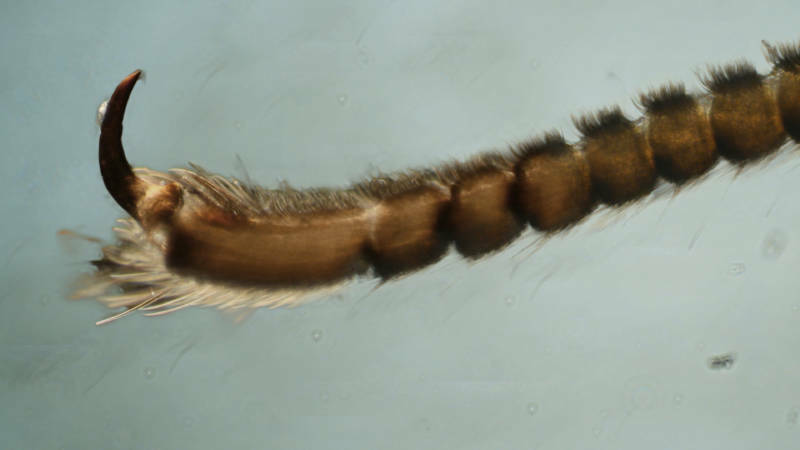 Two of their appendages have evolved into feelers, which leaves the other six legs for locomotion. Daddy longlegs share this trait with insects, and have what scientists call the “alternate tripod gait,” where three legs touch the ground at any given point. That elegant stride is initially hard-hit by the loss of a leg. In the daddy longlegs’ case, the lost leg doesn’t grow back. But they persevere. A daddy longlegs that’s missing one, two, or even three legs can recover a surprising degree of mobility by learning to walk differently. Those mechanisms include developing different types of strides more suited to the new leg count. 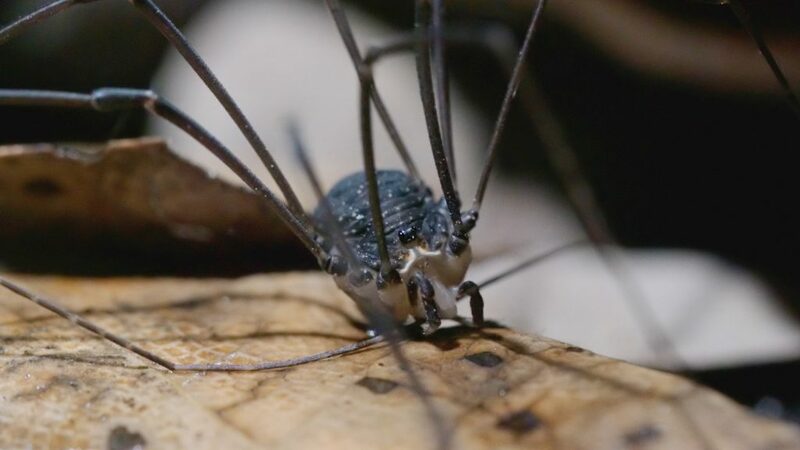 After losing one leg, a daddy longlegs begins to favor “stotting,” where it dribbles its body on the ground like a basketball with every stride. After losing two legs, it turns to “bobbing,” where the vertical plane of movement becomes pronounced. “For certain variables, like speed, there’s a recovery after a few days,” said Escalante. Because they are more chaotic, these forms of movement may even help the daddy longlegs stay alive longer because it becomes difficult for predators to track. The proof, as the saying goes, is in the pudding. “If you have four legs, it probably means that you have successfully escaped four encounters with predators,” said Escalante. Once these adaptations are better understood, they may have applications in the fields of robotics and prosthetic design. 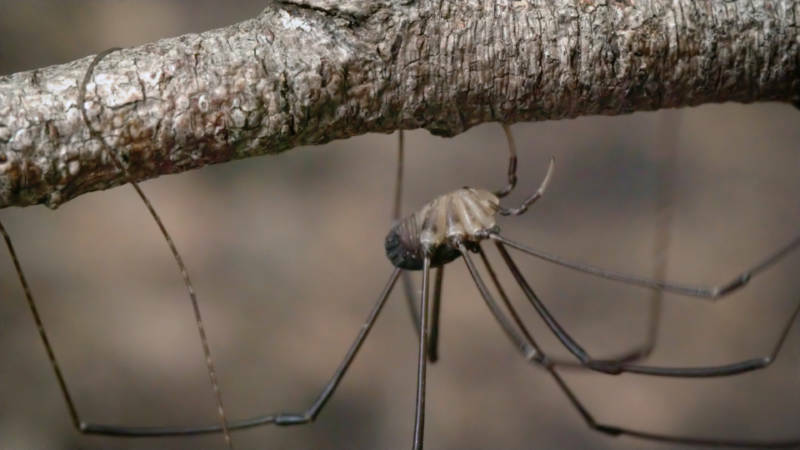 Predators like small birds and lizards aren’t the only way a daddy longlegs can lose a limb. Mating among these arachnids can get rough too. In some species, males actually wrap their legs around the female’s to keep her in place, and even shake her, during copulation. But as with many other species, the females are often bigger and stronger. “I’ve seen females pop the leg off a male because they don’t want to mate with him,” said Kasey Fowler-Finn, who researches daddy longlegs at St. Louis University. In nature, reproductive success is the goal of any survival strategy. Ultimately, for the daddy longlegs, it doesn’t matter how pretty you walk if you can get the job done. That’s the next question for Escalante. “I’m going to be investigating whether mating success is different in animals that have lost legs,” he said.